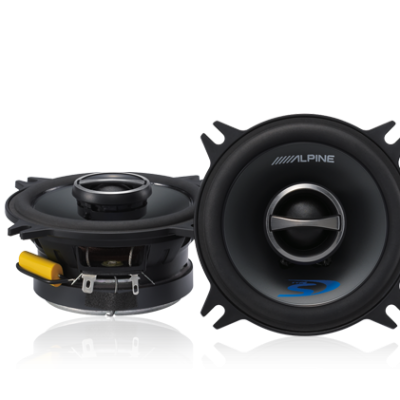 Alpine’s Type-R performance speakers are compact and light thanks to a smaller neodymium magnet and a strong yet light HD polymer frame allowing for easier installation in a wider range of vehicles. Even the crossover is 75% smaller than its predecessors. The new Type-R speakers are also much more efficient, making them the perfect match for built-in head unit power, the KTP-445 Power Pack, or a high powered amplifier like the PDR or PDX series. 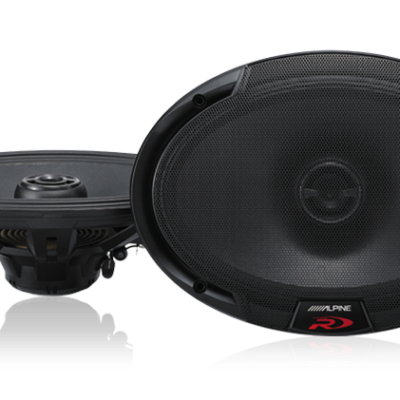 The Type-R speaker range has taken a huge leap forward with High-Amplitude Multi-Roll (HAMR) technology, adapted from Alpine’s popular Type-R subwoofers, which provides clean, high-impact bass performance. The patented linear drive motor design uses a neodymium magnet and square-wire voice coil to provide linear motion over an extremely wide excursion range. The wave guide optimises the acoustic impedance for smooth response and enhanced vocal clarity, both on and off axis. The ring tweeter with EQ ring and copper cap enhances both detail and output, while the swivel mount allows the sound to be focused for the best in-car performance. 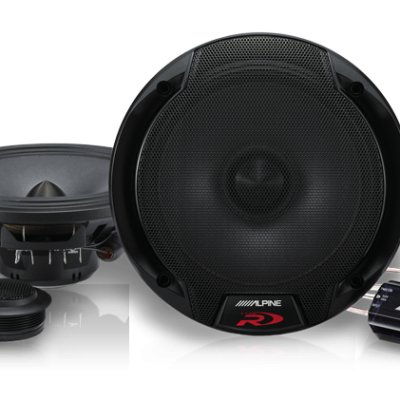 Type-R speakers deliver solid performance, superior linearity, efficiency, and great bass response. Type-R is without compromise the perfect balance of power and control. Type-R SPR-60 Speakers Type-R speakers are engineered to deliver prodigious power while maintaining extreme sound clarity, for totally exciting sound. They provide high power handling, wide frequency response and a powerful bass kick. 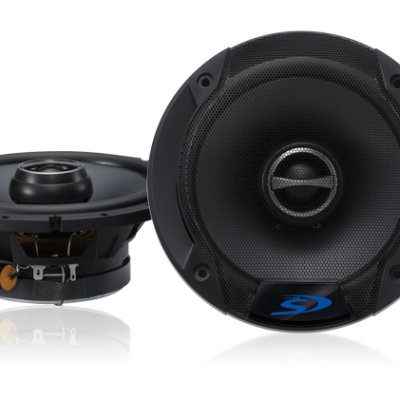 Type-R Swivel Tweeter Both component and coaxial Type-R speakers feature a Ring tweeter that swivels to improve off-axis response in less-than-ideal locations. You can aim it by hand for best imaging and staging at your listening position. Type-R Compact Network Design The crossover network is 75% smaller than previous types, for easier installation in door panels. It provides four levels of tweeter adjustment so you can achieve best balance between tweeter and woofer. Type-R Impressively Powerful Bass Using some of the same technologies as the Type-R subwoofers, such as HAMR Surround for extremely long cone excursion while maintaining maximum control, these speakers deliver deep, muscular bass that gives your sound a powerful punch.